III. LocationLujiazui Skyline: Landmark Attractions in ShanghaiThe Lujiazui sits directly opposite the Bund on the East side of the Huangpu River. Designated as the new financial district of Shanghai since the early 1990s, the famous buildings seen in the skyline from the Bund include the Oriental Pearl Tower, Jin Mao Building, Shanghai World Financial Center, Super Brand Mall, Shanghai IFC, Bank of China Tower and the soon-to-be-completed Shanghai Tower. IV. BackgroundForecasts show that Chinese buyers are lining up to invest as much as USD180 billion in real estate markets, and the fact that you're here today, makes you among some of the world's most cutting-edge real estate professionals marketing to Chinese overseas property buyers.We,Shanghai Formote Exhibition Service Co.,Ltd, as the only professional and leading organizer in overseas property & immigration & investment, has enjoyed the most magnificent reputation. China's leading overseas property show, a 3 day event held on 22-24 March 2019 at Shanghai International Convention Center, the best platform for anyone who want to explore Chinese market and looking to invest in the real estate market. TOP exhibitors: Quantum Group Property Group, Elevay, Greet Keeper, H & T, PBG Property Group, DAMAC, Vilanos, Pafilia, Lennar Florida, Alveo Land, 21Century, Well Trend, Hatten Group, Simons, Prince George's County, Handle Property Group, CJ International. 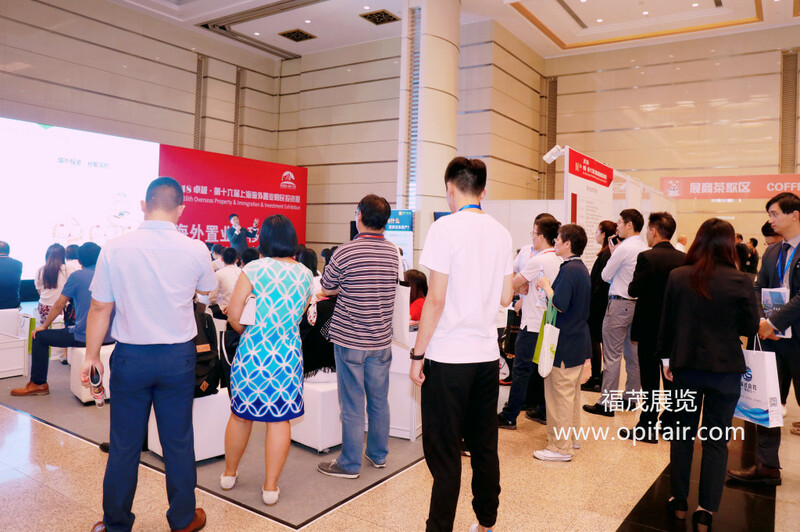 The 18th Overseas Property Immigration and Investment Exhibition will be held on 13th-15th.September 2019 at Shanghai International Convention Center. Welcome all distinguished guests to attend it. Expected exhibitors are about 150 to 200. Expected visitors will be more than 30,000 people.